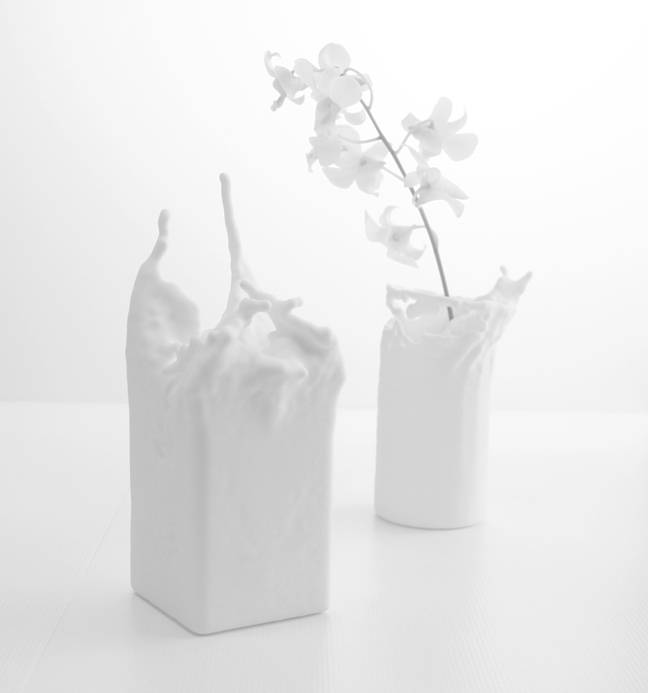 SINGAPORE – Fluid Vase is now available for purchase at www.supabold.com, via an online interface where users can create their own editions. Designed by simulating water action, the concept is to turn the process of pouring water into a vase, into the actual vase itself. By selecting different parameters through an online interface, users can influence and observe the formation of the Fluid Vase. Part of the action can then be frozen in time, from which the physical object is produced on demand with cutting edge 3D printing technologies. The idea of ‘action becoming object’ was conceived two years ago without any consideration that it can exist beyond a design experiment. It was only after the first prototype was produced that we began to piece things together seriously. In collaboration with i.materialise, a leader in 3D printing technologies, Supabold is able to make a bold vision into reality. For more information, please visit www.supabold.com. You can also watch a short video about Fluid Vase at www.vimeo.com/17388778. For more information on the designer, please visit www.fungkwokpan.com.